About 500 jobs will be added for production of Porsche's new compact SUV, codenamed the Cajun, which will go on sale in 2013 in Europe and in North America about six months later. 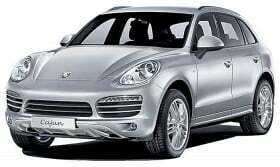 Porsche's supervisory board will make a decision on the production location of the Cajun in mid-March. The Cajun is likely will be built alongside the Cayenne full-size SUV and the Panamera sport-sedan in Porsche's factory in Leipzig, Germany, according to VW group sources. Porsche will spend between 500 million euros and 750 million euros in new body and paint shops at Leipzig. The company will add at least another 500 employees, mostly engineers, at its development center in Weissach, near Stuttgart. Between 2015 and 2018, a further 500 jobs will be added, according to internal plans.